A former special adviser to ex-Defence Secretary Sir Michael Fallon has been acquitted of sexually assaulting a woman at a party. Richard Holden was accused of putting his hands up the woman's skirt in London on 17 December 2016. 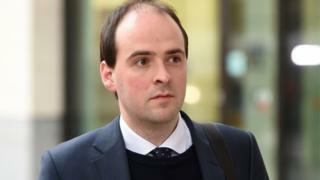 The 33-year-old, who denied the charge, was employed as one of Sir Michael's media advisers until early last year. Mr Holden, from south-east London, was found not guilty at Southwark Crown Court.